The fruits of his partnership with the French upholstery fabric and home accessories maker, Lelièvre, is set to be released this year. The irreverent designer's label has been working with Lelièvre since 2012, in a collaboration giving rise to four collections of fabrics and home accessories. 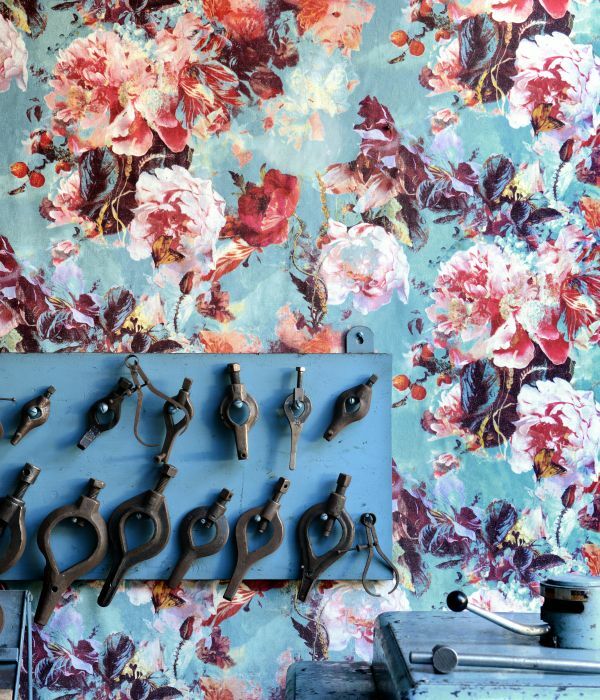 Today, the two French design houses are once again pooling their talents with a range of wallpapers. Available in 2017, the collection draws on the signature themes of the Jean Paul Gaultier universe, namely plants and flowers, sailor stripes and tattoos. These iconic motifs have been brought to wallpaper designs created especially for Lelièvre, with 15 models and 42 color options to choose from. The spirit of the fashion house is captured in "Irésumi," for example, a print of rock ‘n' roll tattoos with Japanese inspirations. "Ernest" is filled with a busy pattern graffiti tags and quirky motifs and "César" pays homage to the artist of the same name. Those looking for more classic home decoration styles can check out "Flamboyant," a romantic floral print with glitter detail, or "Embossé" with its grainy leather look. "Les Papiers, Jean Paul Gaultier for Lelièvre" wallpapers will be sold from 2017 exclusively by Lelièvre. A key figure of French fashion who shot to fame in the 1980s, Jean-Paul Gaultier has focused his work on haute-couture creations since 2014. Lelièvre was founded in 1914 and initially specialized in velvet. This isn't the brand's first collaboration with a fashion designer, since Lelièvre signed a product license with the late Sonia Rykiel in 2010.